I’ve been told that talking about one’s fears is helpful. Though the last post didn’t really do me any favors. At least it’s winter and those eight-legged, big-eyed, fang-wielding . . . Moving on. I’m sure this could get awkward, so don’t worry about skipping a question or ignoring this completely. Some questions about fear. Have you ever implemented a phobia in your writing? What was it? What advice would you give someone who is scared? This entry was posted in Questions 3 and tagged answers, fear, nightmares, q&a, questions, terror. Bookmark the permalink. I have a phobia of nuns (no, really) and I did introduce this as a phobia of one of my main characters, who for reasons far too involved to divulge here, was forced to disguise herself as a nun in order to escape a terrible fate. In the end, it helped her deal with her irrational fear – but was mainly done for comic effect. That does sound funny. Also, fear of nuns has an official term. Sphenisciphobia, which I can’t say without getting tongue tied. I can’t even say it full stop! Seems far too close to sphincter too. HahaHA! So easy to get them mixed up! Wow, tough line of questioning, and my answers are probably boring. I have not included an outright phobia. There are things to fear, and larger things like wars to worry about, but nothing so direct. My fears are pretty mundane too. Mostly fear of personal economic collapse. My advice is to lace up your boots and go to work every day. You’ve made me question a few things in my fiction though. That’s a common fear these days. Wonder if they have a term for that. With lacing up your boots, it is tough when you suffer from a full on phobia. Keep thinking of agoraphobia here, which someone I knew started suffering from. Makes one consider how much we take simple things for granted too. Also how being afraid and phobias aren’t always at the same level. Makes me want to write a story about the disease, hydrophobia. Interesting thing about that is it’s apparently connected to rabies. Wonder why that is. Hydrophobia is rabies’ scientific name. Got it. Still it is an alternative name for Aquaphobia too. Wonder why that is. It does seem strange. I know the disease is based upon the infected’s refusal to drink. Stems from the later stages where there is difficulty swallowing even liquids. Did not know that. Rabies is definitely worse than I imagined and I imagined a lot. Yeah, it’s bad and can run rampant. They keep a tight check on it, but might make a nice alternative to another zombie apocalypse. Actually, the whole thirsty no matter how much you drink thing is found in various vampire myths. Bats too. Wonder if rabies is a source for the myth. 1. Have you ever implemented a phobia in your writing? What was it? Yes. Arachnophobia. But I downplayed it, because that is a common phobia. 2. What are you afraid of? Besides failure and speaking in public? Probably rats. 3. What advice would you give someone who is scared? I usually pray, but that’s of comfort to me. The only advice I have is what others have told me: face your fear. I can’t help thinking of one of Frank Herbert’s quotes from his Dune series: “I must not fear. Fear is the mind-killer. Fear is the little-death that brings total obliteration. I will face my fear. I will permit it to pass over me and through me. And when it has gone past I will turn the inner eye to see its path. Where the fear has gone there will be nothing. Only I will remain.” But this doesn’t mean that I plan to move into a house with rats. 1. I gave that to Luke and uses it when I could. Never thought of downplaying it though since it was a part of his character. 2. Failure is probably more common than spider fears. 3. The face your fear thing is interesting because it only really works for regular fear. Phobias are stronger. They’re to ‘fear’ like depression is to sadness. So, I would if we use the term so freely that we as a society forget that it’s a psychological diagnosis. 1. Yes. The second book in my “Toby’s Tales” series is all about dealing with fears caused by a combination of your imagination and not being able to see the source of something. The third “monster” Toby faces is a leaf monster, which was a real fear for me when my imagination kicked in to overdrive while walking my dog soon after losing the last of my sight. 2. Spiders, escalators, and the things my imagination invents when I’m confronted with unknown sounds or obstacles in my daily life. 3. Do whatever works for you to help you deal with it. Finding a way to make yourself laugh about something to do with it can help… Like they do for the boggert in Harry Potter. 1. I’m curious how a leaf monster comes to be from imagination. I’ve freaked out over branches that I couldn’t see, but heard moving. Never considered leaves. 2. Imagination can be our worst enemy when it comes to fear. Thinking about escalators and I can see why someone would be scared of them. 3. Laughter is an interesting solution. Countering fear with happiness can do a lot of good. 1. The wind was blowing leaves along the riverside walk I always used, and at one point it sounded like they were chasing me down the path. That thought popped in to my mind, and next thing I know I’m imagining a monster made of leaves chasing me down the path. After that, every time the leaves seemed to be following me down the path, my mind jumped immediately to the leaf monster it had created. 2. Yes, the imagination is a tricky thing, especially when you have an author’s imagination to work with. As for the escalators: not only are they scary to start with… Moving stairs just aren’t right… But I also have a bad memory associated with them. It’s one of my earliest memories. Basically, the first time I was old enough to be on my own two feet to encounter an escalator, I panicked and wouldn’t get on it. Trouble was, my brothers and Mother already had. My hand slipped from her grasp, and I stood there screaming as it whisked her away from me. A strange man picked me up and carried me up to her, but that actually made things worse from my point of view, since I spent most of my childhood in hospital for one thing or another, and at the time men that weren’t my Dad or Grandad usually meant another doctor. I’ve long since got over my fear of doctors, though I still try to avoid them as much as possible, even though I have health issues that mean I should be seeing a lot more of them than I do, but the combination of that event and escalators freaking me out a bit anyhow means the fear of escalators remains. 3. The laughter thing was my brother’s idea. He has a similar imaginary monster issue to me, and said thinking of something funny happening to the creature tends to work better for him than just trying to imagine it away. I tried it, and it worked for me too. I also found thinking of something less scary helps me forget the potential risk of lurking spiders… For a while anyhow. So it’s the advice I’d give others: it’s hard to be afraid of something if you’re laughing at it. 1. I hope you were able to get over that fear. Makes me thing of when we hear bumps in the night with no sense of the source. 2. That tends to be the case with deep-seated phobias. It’s a traumatic event that gets burned into the brain. Many times we can’t even figure out what it is because we lock it up. The human mind really has some odd defenses that are born from primal instinct. Doesn’t seem to work in human society though. I mostly did, with a combination of time, using my writing, taking my own advice (for a change) and working with a mobility officer who didn’t dismiss my leaf monster as a childish thing I should have been too old for. There are still too many imaginary monsters out there for my liking though, and some of them creep back in to my life from time to time. The leaf monster is one of those, along with a monster simply called “the beast” that I’ve been terrified of since I imagined him when I was about ten. Yes, it’s exactly like the “things that go bump in the night” thing, except it happens in the day for me too. Mostly I can keep it under control, but there are times when my imagination gets the better of me. A good imagination and a lack of the ability to simply turn on a light are a bad combination. I love hills and cliffs and views, I’ve been up the top of the Eifel tower and on Beachy Head – but I’m afraid of heights with space underneath. I like swimming but diving boards are out! We were on the beautiful South West Coast path when we came to a part where the ‘path’ was a narrow muddy track, a mere mark in the sheer grassy hill rolling down to the sea with the coast line out of sight – no going back. With no rocks to impede one’s fall, I was clinging on to any tussock of grass or feeble sapling, calling for Cyberspouse tramping cheerfully on ahead to come back – carefully. On Beachy Head ( a well known Sussex suicide spot ) there was an exhilerating wind, I loved it, but not anywhere near the edge. Below were rocks and pounding waves, Cyberspouse with his camera and the wind so loud he couldn’t hear me telling him to come away from the edge! I am going to have someone falling off in my WIP! I’m with you on heights. Not sure when it started, but I seem to be more scared of falling as I get older. Can’t imagine why anyone would want to go so close to the edge of a cliff either. Have you ever implemented a phobia in your writing? What was it? I never have but I think it is a great idea. What are you afraid of? I have a great fear of worldwide economic collapse. I guess it comes from now being too old to recover lost savings. The worst case about this fear is it is totally out of my control to prevent. maybe that is what makes it so fearsome. What advice would you give someone who is scared? Go through an analysis that starts with the question, “What’s the worst that could happen if your fear came true. ?” Then once that question is answered continue with, “Okay given that situation, what is the worst thing that could happen?” Pretty soon you run out of worst things and realize the fear is probably unfounded. You aren’t the first to mention a fear of economic collapse either on global or personal scale. I wonder if this is becoming more common in recent years. Not having control over it might be a big factor in all phobias too. We can’t control snakes, spiders, and the dark, so a feeling of helplessness could be a part of it. I agree that it would work with fear, but I’m not so certain about phobias. Those tend to have a hardwired source that takes time to figure out. I have to agree. Especially in this day and age because it feels like it’s much easier to fall into that financial hole. 1. 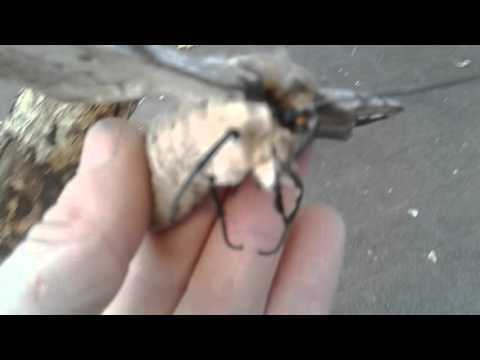 I’ve not used a phobia as such, but I wanted to elicit disgust in the reader and show my character’s twisted mind so I described the large squishy abdomen of a bogong moth https://i.ytimg.com/vi/D2U7RKCsolU/hqdefault.jpg. clinging to a fly screen, its abdomen pulsing and thrusting as it moved. Blech. 2. I am afraid of falling over. I’m disabled with rheumatoid arthritis so deal with restricted mobility and chronic pain. If I fell over not only would it be agonising, but I would not be able to get up without help. I would probably end up crying and screaming and getting angry with myself and the situation. I would also be mortified that I needed help. I try to be as independent as possible. Also if I was alone when I fell over I would be frightened I would not be able to get the help I needed so have visions of lying alone somewhere, no-one knowing what had happened and I die of dehydration. Perhaps a slight exaggeration, someone would come looking for me if they could not get hold of me, but fears are irrational. 3.It depends on what has frightened the person, but generally, I would suggest they breathe deeply in through their nose and out through their mouth slowly several times to calm down a little because panic will only make whatever it is worse. 1. That can certainly make people a little squirmy. 2. Fears are certainly irrational, but I think your’s makes a lot of sense given your situation. May I ask what you do to guard against falling over? 3. Breathing techniques are definitely useful for calming down. I’ve found they’re 50/50 with me depending on what I’m scared of. Startled over something minor and I’m good. Spider-related and I’m gone. Sure, I use crutches and I also have a thing on wheels that is a cross between a walking frame and a trolley so I can have something to hang on to and carry things between rooms. If I have to drag myself up or down stairs I will take them one at a time and come down backwards. I’ll also make sure I always have three points of contact, either both hands and one foot or two feet and one hand as I move. Someone once told me I would make a great rock climber because I’ve been doing it for so long it is completely natural to me. Unfortunately, I would make a dreadful climber because my legs don’t work properly, lol. If it is winter and I have to move around outside in the snow and/or ice, I have slip-on spikes for my shoes and attachments for my crutches that also gives them spikes https://www.healthylivingdirect.com/products/images/zoom/15253.jpg. They are incredibly useful and make me feel a lot safer. We have one of those walkers that my grandma used. Never thought of going down stairs backwards. That’s very ingenious. I’m actually amazed at the crutch spikes. All these years and this is the first I’ve heard of them. Makes complete sense though. The crutch spikes are amazing. When I first found them I bought two sets, one to have at home and one to leave at work just in case I was at work and it started snowing heavily. I didn’t want to get caught short. I’ve also heard a pair of socks over your shoes can work in an emergency to help with grip on ice. I’ve been told that about socks. Always thought that would be a one time use.